Despite coach Mauricio Pochettino’s lukewarm protestations to the contrary, Spurs look certain to sign at least one player this January and he’ll likely be a pacey wide-forward, with a much-mooted move for Everton’s Kevin Mirallas doing the rounds again. The Lilywhites have been linked with Mirallas, Chelsea’s Andre Schurrle, Sevilla’s Carlos Bacca, West Brom’s Saido Berahino, PSV’s Memphis Depay, Fenerbahce’s Emmanuel Emeneke and Southampton’s Jay Rodriguez, each of whom play across the forward line. Pochettino was expected to move for an all-action midfielder after failing to land old Saints charge Morgan Schneiderlin during the summer, but Nabil Bentaleb, Ryan Mason and lately Benjamin Stambouli have all gone some way to proving the centre of the park is not Spurs’ area of greatest need. 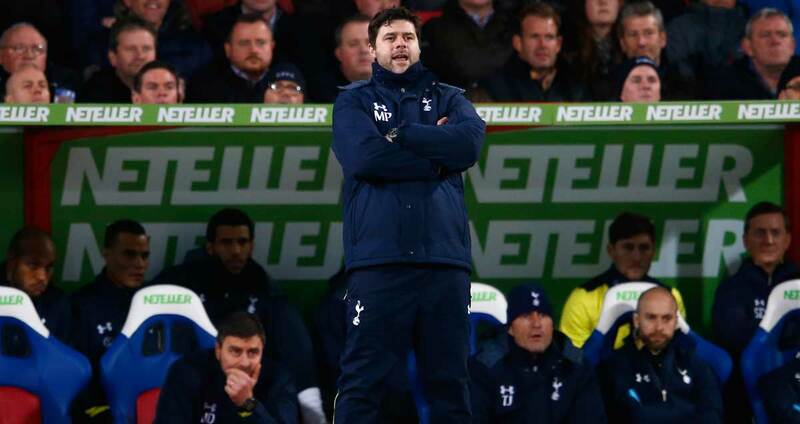 The White Hart Lane faithful should be cheered by their much-admired tactician’s flexibility with regard to transfer strategy, and there’s reason to believe Spurs can grab a 7/1 Premier League top-four place if Pochettino lands a principal target. They’ve ambled their way up to sixth, just three points behind Manchester United in the last Champions League slot, despite a tricky beginning to the Argentine’s tenure which saw Spurs beaten four times at home between the end of August and early November. Pochettino has turned Spurs around while using Andros Townsend and Aaron Lennon, two players that clearly don’t suit the former Southampton gaffer’s set up, as cover for the impressive Nacer Chadli and the enigmatic Erik Lamela, who is in dire need of serious competition for his place. Mirallas has scored twice as many goals as Lamela this term in six fewer all-competition appearances, with five of the Belgian’s eight 2014/15 strikes coming in the Premier League, compared to one of the Argentine’s four. Spurs’ £26m signing from Roma has his moments though, with 57 per cent of Lamela’s attempted dribbles in the top flight completed compared to Mirallas’ 44 per cent*, but the Everton flyer’s flexibility means Pochettino would get the best of all worlds from this potential purchase. The Toffeeman has started five times on the right and nine times on the left all told this term, according to WhoScored.com, so he could either come in for Lamela or facilitate international teammate Chadli’s move into a centre-forward role. Chadli’s take-on success rate is relatively low at 37 per cent, but he has bagged seven top-flight goals with a smaller shots-per-game average than either Mirallas or Lamela, so shifting him up front on occasion would make plenty of sense.